I’ve been waiting a whole year for me and Luke to wear our coordinating fox sweaters. 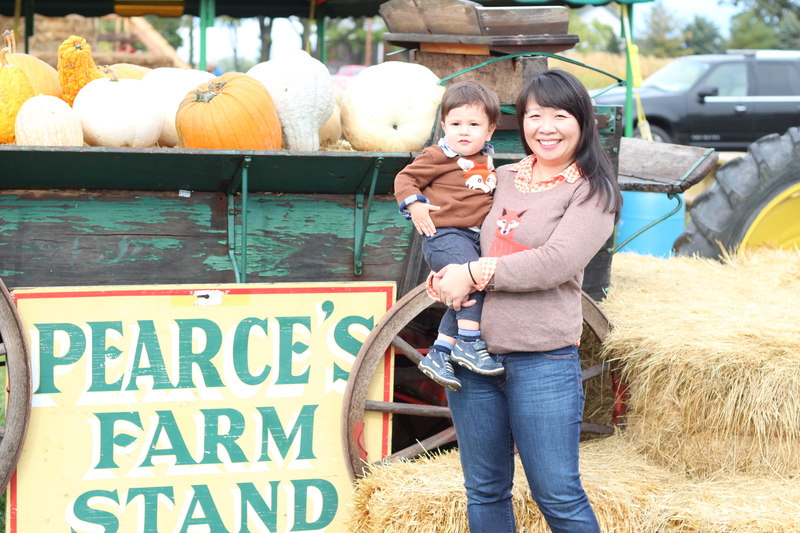 We were in Wisconsin last weekend and got to enjoy apples at the Apple Barn and went pumpkin shopping at Pearce’s Farm Stand. I’m so glad we were able to take a picture of our sweaters together. I’m sure this will not be the only time we will be wearing these sweaters this fall.